New Formula : Now with added Pterostilbene and 100% more Coenzyme Q10. Pterostilbene is a very potent polyphenol and structurally similar to Resveratrol, both work in synergy to make this formula even more powerful than before. 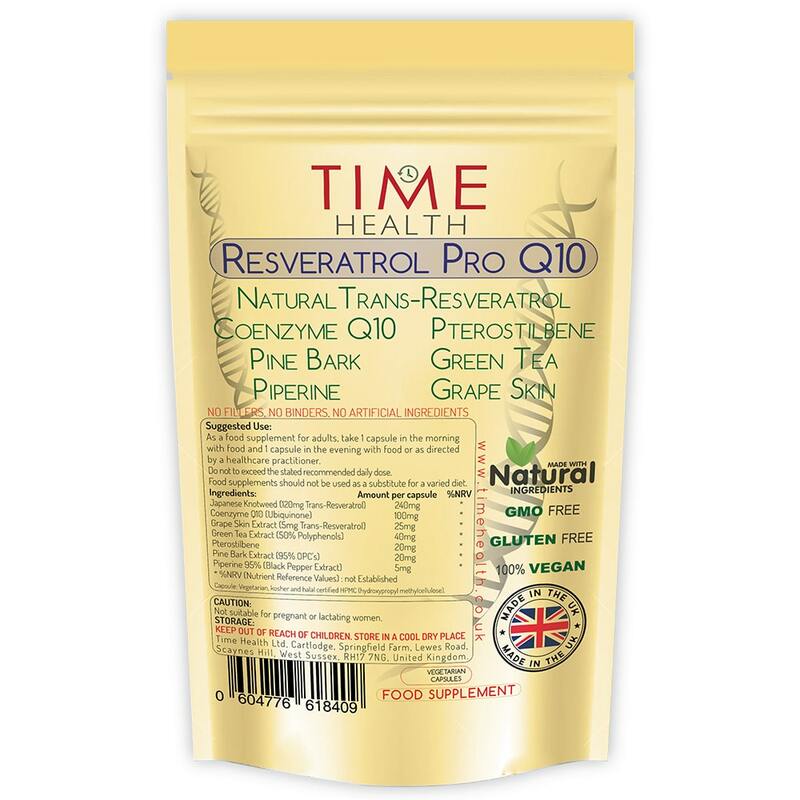 Time Resveratrol Pro Q10 provides concentrated levels of polyphenols, trans-resveratrol from red grape skin and the root of the Japanese knotweed (Polygonum cuspidatum) plant and 100% naturally derived Coenzyme Q10 from Kingdomway Nutrition Inc . This the the same Q10 as used in some of the major brands such as Doctors Best. Proanthocyanins (OPC’s from pine bark), plus catechins (green tea extract) and added Piperine for increased bio availability and absorption. 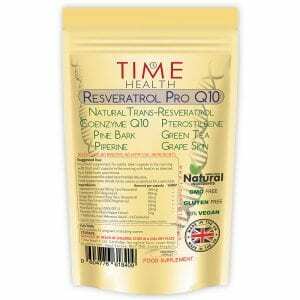 Trans-Resveratrol and Coenzyme Q10 are rapidly metabolized and eliminated by the body. So to get the maximum benefits from Trans-Resveratrol we have split the recommended dosage between 2 capsules one to be taken in the morning and one in the evening. The recommend daily amount of Trans-Resveratrol is 250mg any higher than this and it may inhibit many of its benefits. Using it as a free radicals quenching product.Good ingredients for the purchase price. I have been using this product for around three months now. Fine ingredients, and a great combination. 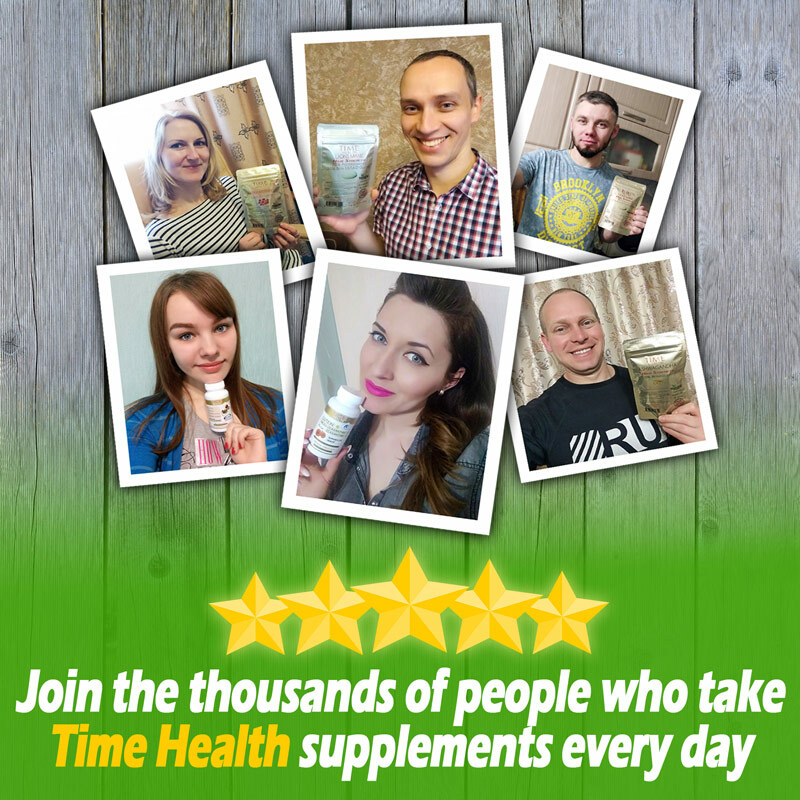 I used to have to take six different supplements to get what this delivers in 2 capsules, making it also good value for money, and less to swallow! 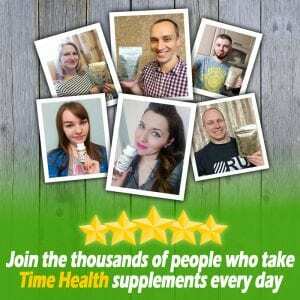 I feel that my health has improved since starting it. Love this product as it has great ingredients, including coenzyme q10 ubiquinol (which is the better q10) & a reasonable price.